Found at 120 Kailua Road, Ste 112 in Oahu, Bob’s Boston Pizza, also known as ‘Bob’s Pizzeria’ sells some very delicious pizzas and a range of Italian dishes. The pizzas here are pretty huge so you may want to arrive hungry as each slice is a lot bigger than you think. 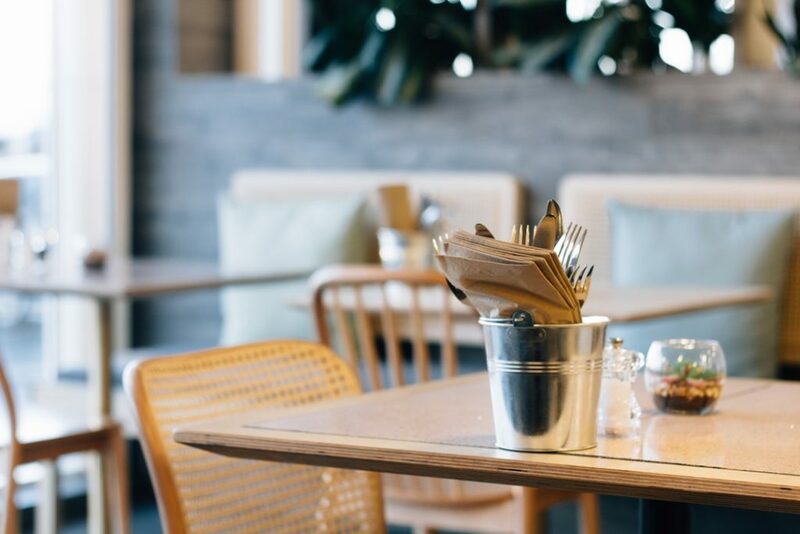 With its relaxed and friendly atmosphere, this eatery is a great place to have lunch, dinner, or a quick bite to eat. Sit inside or out while you dine on your pizza and enjoy a few traditional pizzas or a slice or two of pizza that comes with your choice of toppings. Made to order, and open all week, Bob’s Boston Pizza is well worth a visit. Located at 72-100 Kaupulehu Drive, Four Seasons Resort, Hualalai, the Ulu Ocean Grill and Sushi Lounge is open to those who are not staying on the resort, meaning you can pop along any time you like. Serving seafood, Asian cuisine and sushi, the restaurant is close to the beach which allows you to dine in style while the sun goes down. The food here is nothing short of exquisite and it’s always beautifully presented adding that special touch. Dine at one of the tables outside or sit on one of the lounge-style chairs that are as comfortable as they look. If you choose to dine inside it’s likely that you’ll find the restaurant to be quite an elegant one thanks to its wooden interior that’s been classically styled. The balls of glass that hang on the windows bring more light into the restaurant making it look even lighter and brighter than it already does. Breakfast is served daily from 6:30 am until 11 am, and dinner is also available every day from 5:30 pm until 9 pm giving you the chance to visit the Ulu Ocean Grill and Sushi Lounge whenever you wish. Found at 3612 Baldwin Ave, Makawao, Maui, the Makawao Steak House offers American-style dishes and is well worth a visit if you love steak, delicious entrées and sumptuous starters too. If you’re not a fan of steak then you’ll be pleased to know that there is plenty more to choose from. However, you may have to stick to eating a few starters and entrées as steak is the only main course that is offered. Do not worry though, portions are big so you won’t be disappointed. The restaurant itself has a traditional steakhouse look and feel, offering everyone the chance to relax and enjoy something tasty in a restaurant that has a friendly atmosphere. The portions at Makawao are quite large and everything seems to be cooked to perfection. The desserts are simply to die for, and you won’t be left feeling hungry. If you would like to enjoy a good meal somewhere nice, this is the place to be. Located at 9894 Kaumualii Highway, Waimea, Kauai, Ishihara Market is simply somewhere you have to visit while you’re in the area. Offering seafood, Hawaiian dishes and Asian-style cuisine, this is potentially a gem of a find. Although Ishihara Market is a delicatessen and you have to dine outside, you really need to try at least a few of the dishes. Carefully displayed and offering too many dishes to count your meals will be served in little pots or in a tray depending on what you order and how much you order. Pick up some forks or chopsticks and go and sit on the beach as you enjoy the generous portions of food. Order poke (A native Hawaiian dish), add some rice or mushrooms, sample some crab or dine on an ocean salad while the sun shines and the waves crash against the shore. Whatever it is you are looking for you’re likely to find it at Ishihara Market, freshly prepared and with large portions a-plenty. Found at 305 Dairy Rd, Kahului, Maui, Down to Earth is the ideal eatery to visit if you are looking for vegan or gluten-free foods or you simply want to enjoy something healthy. Selling fruits and vegetables in addition to sandwiches, burgers, and fresh juices you can also opt for a salad or two if you wish. Voted ‘Best Health Food Store’ for 12 years, you have the option of enjoying a wide range of delicious dishes for a reasonable price. Choose something from the delicatessen or enjoy one of the many pre-packed salads that should leave you feeling full for a long time. If you would like to up your vitamin intake or you simply want to eat a meat-free meal, you should visit Down to Earth as it offers something different. Hawaii is home to many wonderful places to eat but we think the above 5 eateries are some of the best around. Why not dine on a slice or two of pizza at Bob’s Boston Pizza? Enjoy a spot of sushi at Ulu Ocean Grill and Sushi Lounge, and choose from the wide range of steaks at Makawao Steak House. Finally, sample some seafood at Ishihara Market before buying a meat-free burger at Down to Earth and enjoy eating at some of the best places in Hawaii.